Unless you're at high risk for cardiovascular disease, you probably shouldn't take a low-dose aspirin every day, a new study suggests. Researchers report that daily low-dose aspirin use may significantly increase the chance of major gastrointestinal or cerebral bleeding. Any benefit of low-dose aspirin in preventing heart disease could be offset by that risk, the study authors said. "Aspirin is not effective in protecting a person from a first cardiac event -- a heart attack or stroke," said study author Dr. Antonio Nicolucci, head of the department of clinical pharmacology at nonprofit biomedical research organization Consorzio Mario Negri Sud in Santa Maria Imbaro, Italy. "In addition, taking aspirin has significant risks, and thus shouldn't be part of primary prevention unless you're at moderate to high risk of heart disease." Many heart attack survivors and others with multiple risk factors for heart disease -- such as high blood pressure, family history of heart problems, obesity and diabetes -- are advised to take low-dose aspirin. 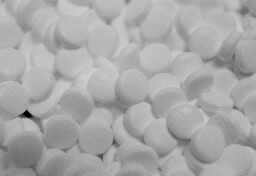 For this study, low-dose aspirin was defined as 300 milligrams or less. The risk-benefit ratio should be carefully evaluated for each patient, based on individual risk factors such as hypertension, elevated lipids, obesity, diabetes and a family history of heart disease, Nicolucci said. Read more from U.S. News. Check in with us as we feature the latest trends, research and news in medicine, health and science. A team of Star Tribune staffers will aggregate updates from news wires, websites, magazines and medical journals. Some groups are exposed at much higher rates. Alcohol poisoning kills thousands in U.S.
Six people die each day. 35 are designated in U.S.
FDA making some chain restaurants post calories. Minnesota's first e-cigarette survey finds 12.9 percent used or tried e-cigs during the past month.